Note; Firefox browsers falsely report that the MPEG files are corrupt. Simply use right-click and 'Save Link As' to download or use IE or Chrome browsers instead. 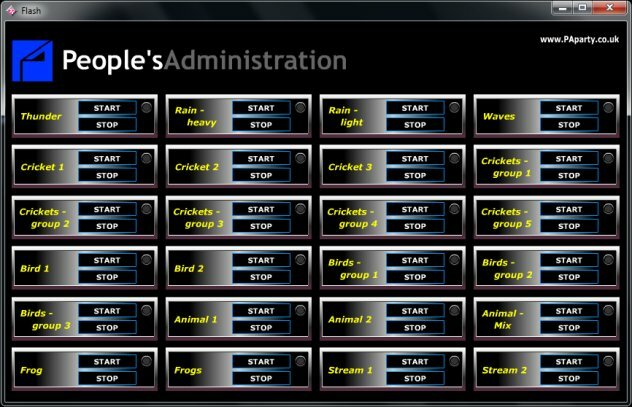 The People's Administration Stereo Audioscape Builder runs in Windows and in all Flash-compatible devices and allows you to create your own therapeutic ambient audio environment using an array of preset sound effects. Create a jungle, a tropical beach or a quiet spot by a woodland stream.